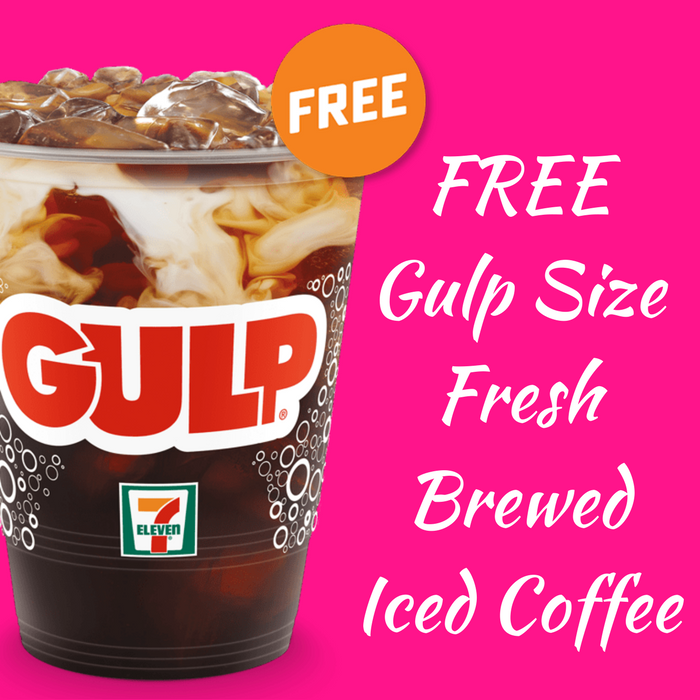 FREE Gulp Size Fresh Brewed Iced Coffee! You are here: Home / FREEbies / FREE Gulp Size Fresh Brewed Iced Coffee! Until August 31 only! Head over to 7-Eleven to score a FREE Gulp Size Fresh Brewed Iced Coffee when you download their mobile app and join 7Rewards! You just need to scan your app barcode upon checkout to get this FREEbie! Yum!